Onleilove (pronounced Onlylove) Chika Alston, Founder of Prophetic Whirlwind was born and raised in East New York, Brooklyn. Onleilove is also a community organizer, speaker, and writer. 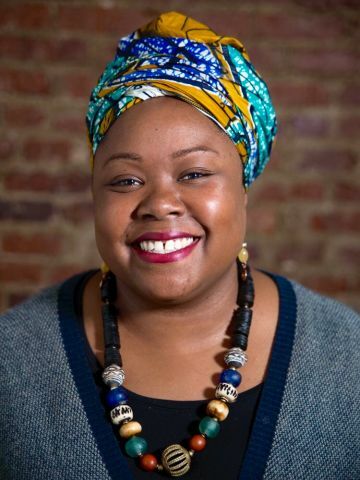 Her writing has been featured in Sojourners Magazine, Huff Post Religion, The Black Commentator and NPR’s On Being blog, as well as in other print and online publications. Having experienced poverty and homelessness, she has developed a compassion for people fueled by her passion for justice and knows that the gospel is truly “good news to the poor.” Onleilove served as the second executive director at PICO-Faith in New York, where she led a multiracial and multifaith organizing federation of 70+ congregations representing 80,000 New Yorkers who are working to Build the Beloved City-where all of The Creator’s children can live in dignity. 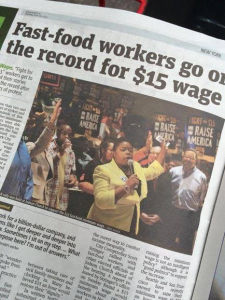 She also served on Mayor Bill de Blasio's Clergy Advisory Council and ALIGN. Currently she serves on the Board of Directors of Sojourners, as a Commissioner for the Poor People’s Campaign and on the advisory board for the Women’s Organizing Network. She has completed the Women’s Campaign School at Yale, two The Beatitudes Society Fellowships, The Collegeville Institute Fellowship and the FPWA Faith and Justice Fellows Program. A womanist Onleilove writes and lectures on the implicit bias of colorism and its impact on African-American women; having developed A Women’s Theology of Liberation and Live Free W.O.M.B. (Women Organizing Out of Mass Incarceration and Brutality) for the Faith in Action Network. In 2016 Onleilove testified before the United Nations Working Group for People of African Descent on Mass Incarceration’s Impact on Black Women & Girls. 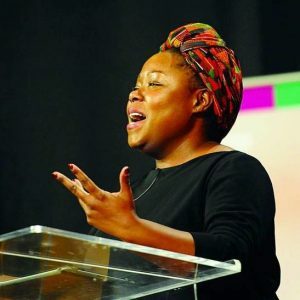 She has been a featured speaker and workshop facilitator at CCDA, Dartmouth College, Why Christian, Sojourners Summit, The 2015 African Hebrew Conference in Israel and The Samuel Dewitt Proctor Conference among other conferences, congregations, universities and organizations. Onleilove serves as a regular panelist on the Debate Talk 4 U Under the Palm Hebrew Women Speak podcast. Often ministering among African Hebraic communities, she was appointed as the Ambassador and given the title of Iyom for The Organization of Igbo-Hebrew Heritage Cultural Foundation’s Joseph Project which seeks to build a link between diaspora Africans and Igbos. Her travels and work have taken her to Scotland, England, Switzerland, Israel, Ghana Nigeria, Puerto Rico, The US Virgin Islands, St. Martin, Morocco and Togo. Onleilove has 5 siblings and a large extended family. She worships at Beth-El The House of Yahweh in the South Bronx a 65-year old Messianic Hebrew community. For everything she has accomplished Chika says To Yah Be the Glory!